Somerset County Cricket Club has launched a new partnership with COOK, makers of remarkable food for your freezer. 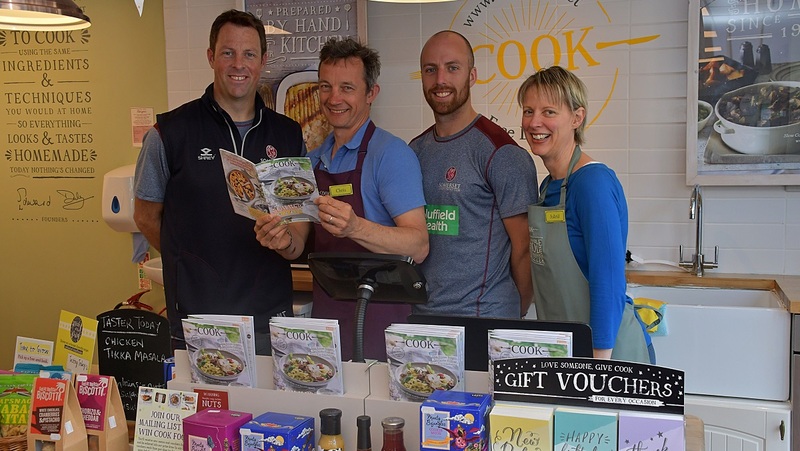 It came about after some Somerset players began visiting the COOK shop on Corporation Street in Taunton. Joel Tratt, Somerset CCC Head of Strength & Conditioning, said: “It’s great to be collaborating with COOK to help with the players nutrition. With their busy schedule and the time the players spend on the road, it can sometimes be tricky to plan and organise healthy meals but the prepared meals that COOK provide are perfect to help with this. 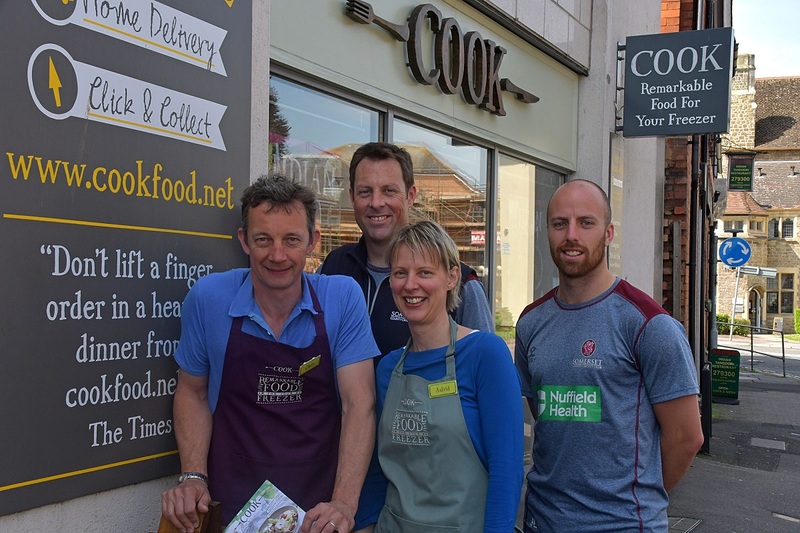 “From a nutritional standpoint, many of the meals that they provide are ideal for what our players need, and with the shop in Taunton being so close to the Cooper Associates County Ground, it’s easy for the players to source meals from there. “The squad are using COOK on a regular basis and I look forward to working with them in the future”. All COOK meals look and taste homemade because they are prepared by hand, using the same ingredients and techniques as you would at home. They are then flash frozen without preservatives, so you can pop them in the oven or microwave and enjoy the taste of home cooking without spending hours in the kitchen. LAST CHANCE TO BOOK YOUR CHRISTMAS PARTY! The Cooper Associates County Ground sits amidst a backdrop of the Quantock and Blackdown hills and each of the rooms afford superb views over-looking the cricket pitch and Taunton’s churches. Taunton’s newest £1.5 million Conference Centre offers superb facilities that can be tailored to suit your needs for any occasion.